A pioneering research project led by the University of York and involving researchers from Plymouth University Peninsula Schools of Medicine and Dentistry will evaluate newly-developed programmes that aim to improve the social and emotional well-being of children under two and their parents. The four-year project led by the Institute for Effective Education (IEE) at York, with colleagues from the University’s departments of Health Sciences, Social Work and Social Policy and Centre for Health Economics, is backed by a £1.85 million grant from the NIHR (National Institute for Health Research). The study also includes co-investigators from the universities of Central Lancashire, Sheffield, and Maynooth, with initial partners including Action for Children, Lancashire Care NHS Foundation Trust, and Blackburn with Darwen Borough Council. The team from Plymouth are supported by the NIHR Collaboration for Leadership in Applied Health Research and Care: South West Peninsula (PenCLAHRC). The multi-disciplinary research team aim to evaluate the effectiveness and acceptability of Incredible Years (IY) Parent Programmes for 0-2 year-olds. Evidence from research around the world suggests that the BASIC IY programme -- for parents of children aged 3+ years -- enhances child and parent well-being. 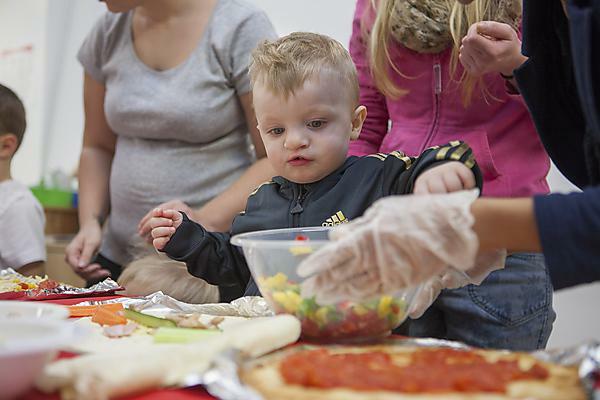 The more recently developed IY parent programmes for infants and toddlers have shown promising results in two small trials in Wales and Boston, US, yet have not yet been rigorously evaluated in England. The researchers will assess the primary outcomes when children are around 20 months old. These will focus on the child’s social and emotional well-being, and well-being among primary carers, co-parents and other significant carers. The IY series was first developed in the USA in the 1970s by Professor Carolyn Webster-Stratton and now comprises programmes for parents of 0-12 year-olds, with complementary programmes for children and teachers. The York-led study is taking place in parallel with a similar study in Ireland led by co-investigator Dr Sinéad McGilloway, of Maynooth University, Ireland.